(CNS): Although police have said that they will no longer be naming individuals that they charge the two men charged with importation of drugs and guns yesterday, appeared in court this morning before Chief Magistrate Margaret Ramsey-Hale. The 27 year old Caymanian man charged with the importation of firearms and being concerned with the importation of ganja is Joseph Vandell Hurlston while the 41-year-old Jamaican man charged with the importation of ganja and being concerned with the importation of ganja is Mitchell Lloyd Comrie. The prosecution revealed three weapons, ammunition and more than 400lbs of ganja a was recovered. Both men were remanded in custody today (27 April) to Northward prison and given time to find legal representation as the magistrate pointed to the seriousness of the charges. Both men were scheduled to return to court next week for a preliminary inquiry. The charges against the two men relate to a police operation which took place near the East End library last week Tuesday 20 April when five men in total were arrested after drugs and guns were discovered in a capsized canoe. Police also confirmed today that the three other men arrested at the time of the operation have been released on police bail while enquiries continue. (CNS): The prosecution and defence teams finally completed their closing arguments this morning at the end of a long and protracted Grand Court firearms trial, which included numerous closed door hearings and a mid-point adjournment. Keith Orrett, Brian Borden, Bjorn Ebanks and Keith Montaque are all charged with possession of unlicensed firearms following a police raid on Orrett’s home where two shotguns were found in the attic. The prosecution says the men are guilty because of DNA found on the weapons, and in the case of Orrett because it was his residence. The defence, however, claims the DNA evidence is weak at best and the crown has not proved possession. During her closing speech on Monday morning (26 April) Trisha Hutchinson, for the prosecution, said that Orrett was guilty as he was the tenant at the premises and he did nothing to prevent the guns from being in his home despite knowing they were there, and the other three are guilty as a result of traces of their DNA being found on one, or in the case of Montaque, both of the weapons. She said it was more than a coincidence that the men were at the house at the time the police found the guns and that their DNA was found on the weapons because they were guilty. She suggested that claims of fear by Orrett were contrived in order to get him out of trouble but that he had control of the premises and was therefore also guilty. John Fox was the first of the four defence lawyers to present his closing speech on behalf of his client Keith Orrett, reminding the jury he was the only one of the defendants whose DNA had not been found on the guns. He also insisted that fear was a very real factor for his client, who was not in control of the weapons. Fox explained that his client had seen one of the other defendants holding one of the guns and as a result he had every reason to be afraid. Moreover, Fox said his client had cooperated with the police all through and that he had no reason to tell the police he had ever seen one of the guns on the premises. Fox pointed out it was not an offence for Orrett to be in his house and that the guns were brought there without his knowledge. When he became aware he was not in control. “There is nothing before this court to say that he ever handled these guns," Fox told the jury. “It is laughable to suggest he was in control … the one with the gun had the control.” The attorney pointed out that, having seen one of the firearms, Orrett was in no position to ask anyone to leave as he was afraid for his own life and the lives of his family. Fox said the prosecution had no evidence that Orrett was in any way connected to the guns and the jury must return a verdict of not guilty. Defence attorney for Brian Borden told the jury that the DNA samples found on the weapon which supposedly matched his client could very easily be as a result of contamination. Nicholas Hoffman said there was no evidence that his client had ever been in the attic and the statements by Orrett that he had seen him with the gun could not be used against Borden as they were made in circumstances where Borden could not defend himself. He said the prosecution had offered no evidence as to why the men were connected to the guns when so many other people were at the house that weekend whose DNA was not tested. He said the DNA evidence against his client was a mixed sample that could also match up to 44,000 other people, almost the entire population of the islands, even before the issues of contamination were raised. Hoffman suggested that it was ridiculous that a jury was being asked to decide guilt when there was no evidence against his client. He said Borden was the last person to be searched before the officers involved then went and handled the guns possibly wearing the same gloves. The case against his client, Hoffman claimed was littered with mistakes — contradictions among witnesses, problems with DNA and many other inadequacies in the quality of the investigation. He told the jury that there was only one verdict, which was not guilty. Nick Dixie, who spoke on behalf of Bjorn Ebanks, also noted that the only reason why his client was sitting in the dock is because a trace of his DNA had appeared on one of the firearms. Dixie again noted the issue of contamination and transference that had been revealed during the trial and pointed out that his client was excluded from every DNA mark that was tested bar one, where the expert had said in one mixed sample Ebanks could not be excluded. However, Dixie pointed out that the sample could also belong to at least 390 other people, according to the lab results. 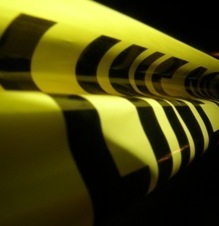 He also noted the extent to which the scene in the attic and the house could have been contaminated and that the police officers, far from wearing the forensic crime scene suits used them to put things on. The defence attorney also reminded the jury how the DNA expert witness had confirmed that the mixed samples he was given would be consistent with transference. “This case would be laughable were it not so serious,” Dixie told the jury as he asked them to judge his client fairly. The last of the defence attorneys to speak for the accused men was Ben Tonner, who took to his feet on Tuesday morning on behalf of Keith Montague. Tonner gave the jury an imaginary scenario in which they found themselves in trouble with the police in similar circumstances to the client and pointed out how they would trust the police to investigate properly. He said in this case, however, the police had not investigated properly but had made many mistakes. Tonner said the police didn’t change gloves, the crime scene was littered with contamination and cross contaminated during the investigation. “I don’t have time to deal with all the clangers that the police made," he said but pointed out that officers had failed to change gloves between searching his client and the other men before they handled the firearms. He also noted that the officers did not send other swabs to the lab of the several other people that were present at the house over the weekend before the police arrived there. Tonner also noted that the crime scene investigator had completely missed a clear and obvious hand-print on the air-condition duct right by where the guns were hidden, a print that could have demonstrated without doubt who had actually been in the attic. Tonner told the jury that not only did crime scene officer, Stephen Best, miss the palm and finger prints (even though he had taken the photograph of it) he had taken no finger prints from the attic or the entrance hatch to it. He said the issue of contamination and transference was very real and despite claims made by the prosecution the jury could not dismiss it. “The police failed to investigate this properly," Tonner said. “This investigation was an absolute shambles," he told the jury, adding that there was simply not enough evidence to convict his client. Following the completion of the closing statements, Justice Charles Quin told the jury that he would sum up and offer directions concerning the law for them on Wednesday morning before they would be released to deliberate and consider their verdict. When in May 2008 sevenBlue Iguanas in the captive breeding programme were brutally killed, it was prime fodder for the local headlines and even the international media picked up the story. The response was collective outrage and the laments were loud and heartfelt. If only the good news about the Blues’ recovery garnered similar passions. This is the basic problem: shocking tales of savagery and slaughter are easy for readers to digest, whereas the good news – hard won results of the daily grind of scientists and volunteers, a bumper batch of eggs, successful releases into the wild – has a tough time competing for the public’s attention against the latest crime or news that affects money in their pockets. But the hard truth is, unless the human population of Grand Cayman collectively decides to get up and leave and take all the dogs, cats, rats, cattle and Green Iguanas with them, life for the island’s native reptile will always be precarious and support for the Blue Iguana Recovery Programme, both locally and abroad, continues to be vital to its success. It needs money, more land and the political will to protect and build on its achievements so far. So for BIRP’s director, Fred Burton, as well as tackling the mammoth task of saving the magnificent Blues from extinction, there is also the problem of how to make people care enough to enable him and his network of support to achieve this. The Cayman media, to be fair, has been supportive, and so have local organizations, schools and businesses, but the fact that the conservation bill looks set to gather dust through yet another administration is a sad indication that environmental issues are not still uppermost in voters’ minds and therefore not a priority for politicians. One way that all of us can help is to ensure that as many people as possible read Fred’s new book, The Little Blue Book – a short history of the Grand Cayman Blue Iguana. Buy it, read it, tell your friends about it, donate a copy to your kids’ school library, ask your MLA if they have read it, and if not, why not. The whole thing is less than 100 pages, and that includes a large number of gorgeously colourful pictures of this incredibly photogenic reptile, and lays out plainly the imperative of supporting the programme. Fred the scientist has kept technicalities to a minimum, so children and even science clods like me can easily absorb its content. Fred the author, meanwhile, has produced a truly compelling and elegantly written little book, packed with fascinating characters, both reptilian and human, and a gripping narrative in which he weaves the short history of the species with surprisingly poetic field notes, along with strategically placed chapters on the life and times of the Blues. Also notable but not always acknowledged is the grindingly hard work done by scientists and volunteers, in the field tracking the iguanas or doing the very manual labour of building cages. Chapters 2 and 3 reminds us of how much has been lost already since mankind first discovered the Cayman Islands – the merest blink of an eye in the islands’ history – listing the species that have already disappeared and explaining in stark terms how close we came to losing the Blue Iguana forever. As pointed out in the book’s conclusion, indifference could still send these creatures into extinction, though it’s hard to imagine anyone reaching the final sentence of The Little Blue Book and still not understanding why we should care. The Dodo has become the poster child for human stupidity and it’s unthinkable, but not impossible, that despite all the blood, sweat and tears that have already gone into saving them that Cayman’s Blue Iguana could go the same way. Years from now, there could be pictures in nature books of a beautiful bright blue iguana – a creature that could have survived but people just didn’t care enough. (CNS): The Minister for Community Affairs has noted that times are currently particularly challenging for parents as a result of the economic problems and rising crime in the community. As a result he said that this year’s Child month will be focusing on parenting in hard times. The ministry in conjunction with the Department of Children and Family Services is currently preparing for the month’s activities which will be organised around the theme of ‘Loving our Children through Today’s Challenges.’ Director of the Department of Children and Family Services (DCFS), Deanna Look Loy also said the department will be raising awareness about the need for foster parents. Mike Adam said that loving, encouraging and supporting children in tough times was of paramount importance. “Child Month has taken on even more significance and meaning as today, in our fast-paced lives, we struggle to strike a healthy balance between the demands of work and the responsibilities of parenthood. At the same time, the society is trying to cope with growing financial pressures, increasing levels of crime and concerns about safety,” he said. Look Loy explained that Child Month 2010 will focus on raising awareness and educating families about how to cope. “Many parents, for example, are facing economic pressure right now and may have to make some hard financial decisions which could impact their ability to care for their children. However, the message we want to send to families during Child Month is that you can maintain quality care for your children despite the challenges,” she said. With the assistance of partnering agencies and supported by experts from the Health Services Authority, the DCFS said it will host a number of activities geared towards assisting parents with meeting their children’s nutritional, health, safety and leisure needs. Look Loy also spoke about the need to encourage people to get involved with the fostercare programme, by providing their contact information to the DCFS and listing themselves as potential foster parents. “An important part of loving our children through the challenges is recognising when families are not coping with the pressures of life and require an intervention in the best interests of the child. We therefore, ask persons to consider reaching out to a child in need of love and support through the fostercare programme,” she added. Cassandra Parchment said the activities committee has developed events to educate and highlight children and acknowledge the roles of parents and care-givers. There will be an exemplary community member award to someone who has volunteered their time for the betterment of children during the annual Child Month Church Service to be held on Sunday, 2 May at the Savannah United Church. Also the week of the young child, normally scheduled for the last week of April, has been incorporated into Child Month activities. “The Week of the Young Child will now officially begin on Sunday 23 May at the Bodden Town Webster Memorial Church,” she said. Another new event is the Child Month Youth Fest a talent showcase for young people under 18 or attending high school locally. “This will be an exciting showcase featuring song and dance competitions as well as a battle of the bands. 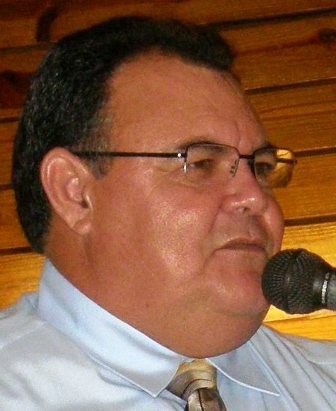 It will be held on Saturday, 28 May at the Lion’s Centre,” Parchment said adding that popular children’s events such as district fun days and the annual fundraising Child Month Walk-Run, will also take place from Saturday, 22 May at Pedro St. James. Also back this year will be Board Games Night on Thursday, 6 May at Books by the Bay, Grand Harbour and the Pyjama Party scheduled for Camana Bay on Monday, 24 May. For a complete list of Child Month and Week of the Young Child events, locations and times, visit www.gov.ky. Meanwhile the Family Resource Centre (FRC) says it has just finished the first series of the Family Skills Training Programme. This 8-week programme focuses on developing the skills necessary to run a better functioning family unit, such as communication, discipline, home management, self-esteem, and goal-setting. Six families that are part of the CAYS Foundation participated in the first series. The families met once a week for an interactive workshop with games, information and group work that focused on creating healthier interaction and improving as a family. The WRC said the programme motivated families’ punctuality and participation by having them compete on a point system. The FRC said it was grateful to all the community sponsors that enhance the programme and help make it a success. Boatswain’s Beach, Decker’s Mini Golf, Red Sail, the Ritz, Books & Books and Hollywood Movie Theatres have become programme partners and will contribute to the celebratory packs at every session. The second Family Skills Training Programme begins on 29 April 2010 and will also be composed of CAYS Foundation families. However, on 24 June the third session, which is open to the public, starts. Families interested in participating or businesses become a corporate sponsor can contact the Family Resource Centre at 949-0006. (CNS): The country could be facing 5% value added tax (VAT), despite McKeeva Bush’s statements that he would fight against a direct tax. Although the premier has not yet revealed what the Foreign and Commonwealth Office has said about the proposed three-year plan submitted to them at the beginning of this month, he has confirmed that Cayman will be seeking to borrow a further $300 million. As a result, the UK is still seeking more sustainable revenue and Bush has said if he had to choose a tax he would introduce what he called a value added fee. Contrary to his recent comments that he would not implement taxation, he has now said the country can’t go on without one. “I do feel this country cannot carry on much longer without some sort of generation of payment within the country,” he told News 27 in an interview. The UK has said the Cayman Islands must show some form of sustainable revenue, so the premier said he if he has to choose he would prefer a general services tax or a value added tax but said he would then withdraw fees in other areas. He said this was the tax that was fairer because rich people spend more so they will put in more. 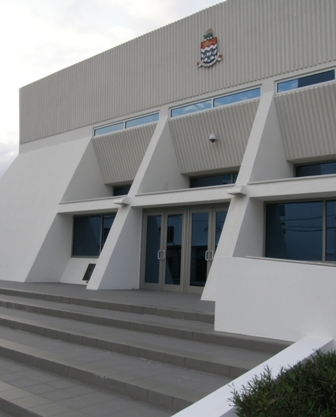 Following his visit to the UK in March, the premier told the country at a press briefing on 15 March that the UK had agreed to the Cayman Islands government tackling the 2009/10 budget deficit through cuts and not taxes. Bush said the FCO was allowing the CIG to work on a three-year budget plan that focuses on reducing public expenditure rather than new revenue sources. Depending on the extent of cuts government can make over the next three months and the three-year plan, Bush said the UK had also agreed to limited borrowing, if necessary, at the end of this year to address the deficit. However, the governor noted more recently on 9 April that the UK had not given permission for the CIG to borrow because the OT minister had not been asked. Taylor acknowledged the UK was still expecting the Cayman government to introduce new revenue raising measures as well as public sector cuts since, as Colin Roberts the Director of the OTs has said, it would make Cayman more resilient to the ups and downs of the world economy. (BBC): People who regularly eat chocolate are more depressive, experts have found. Research in Archives of Internal Medicine shows those who eat at least a bar every week are more glum than those who only eat chocolate now and again. Many believe chocolate has the power to lift mood, and the US team say this may be true, although scientific proof for this is lacking. But they say they cannot rule out that chocolate may be a cause rather than the cure for being depressed. 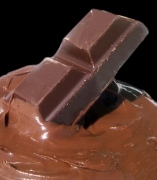 In the study, which included nearly 1,000 adults, the more chocolate the men and women consumed the lower their mood. (CNS): The chair of the Public Finance Committee (PAC) has said that the members of the committee are scheduled to meet this Thursday behind closed doors in order to set a date to hold an open meeting to examine the latest reports from the Auditor General’s Office.Aside from the State of Financial Accountability Reporting, Ezzard Miller said the committee would also be examining the Review of the Legal Aid Programme and the AG’s report on the internal audits of Fuel Card Usage and Management. Although the PAC chair had said it was his aim that the committee would meet on a monthly basis when he took the post, the committee’s last public meeting was in November 2009. Since then the committee has met in-camera on 3 December but has not had any meetings of any kind behind closed doors or in public since. 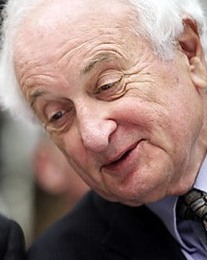 Miller noted in his recent annual report of the PAC, tabled in the LA in March, that committee meetings had been cancelled on a number of occasions as not enough members had turned up. The last scheduled meeting, according to Miller’s report, should have been on 27 January but it could not be called to order as insufficient members were present. The independent North Side representative noted that the problem seemed to be that government backbench MLAs sitting on the committee had been given other roles and therefore were frequently unable to attend. As a result, he suggested that the PAC membership be revised and existing members who were over committed could be replaced by members of the House with less commitments. 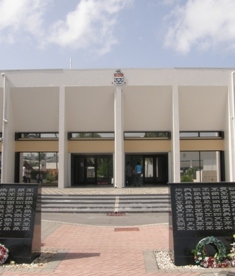 However, government has yet to respond to Miller’s recommendations and at this stage the members of the committee remain as they were in May 2009 with Cline Glidden, Elio Solomon and Dwayne Seymour from the government benches and just Moses Kirkconnell from the opposition with Miller, the parliament’s only independent member, as chair. If the PAC is able to form a quorum for its next scheduled meeting to discuss the AG’s latest report on the State of Financial Accountability Reporting it will be the first time that CFOs will be publicly questioned on the dire state of government accounts. Government has not stipulated where cuts to services should be made but has asked for efficiencies by the public sector and a reduction in salary and benefit or head count. Earlier this month the governor denied that this decision was a cop out by Cabinet and said the civil service management were the right people to decide where cost cuts could be made. The CivilService Association (CICSA) has disagreed, however, and pointed out that if the political arm of government wants to reduce public spending on the one hand it cannot demand ever more services on the other.